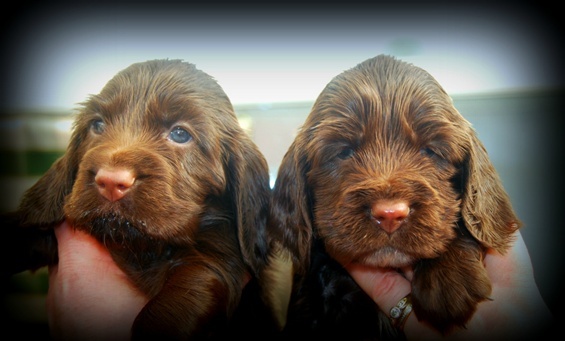 Fortunately, you will probably never find a Field Spaniel in a pet shop, and if you did, we would recommend that you never buy a puppy from a pet shop, as it will mean that they will not have registration papers as they would not have been bred by a registered breeder. Only buy your puppy from a registered breeder as they will know much more about the breed, and they will have the welfare of both the breed and the puppy at heart. We are committed to a breeding program focusing on type, temperament and soundness. As the breed is still so rare and vulnerable, we (and other breeders) are careful and selective in our breeding program so as to advance the welfare of our beloved breed. If you are seriously interested in a puppy, please feel free to send us a message on the 'Contact Us' page.